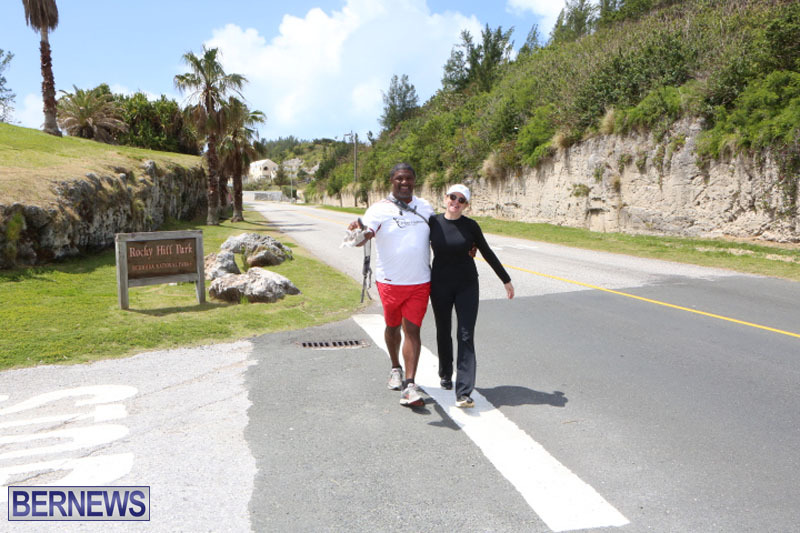 [Updated] Bus driver Mark Anderson – also known as the Queen Of Bermuda Sybil Barrington – is getting set to walk the length of the island hoping to raise funds for his goddaughter, Kamala Smith, a mother of two who is fighting cancer. 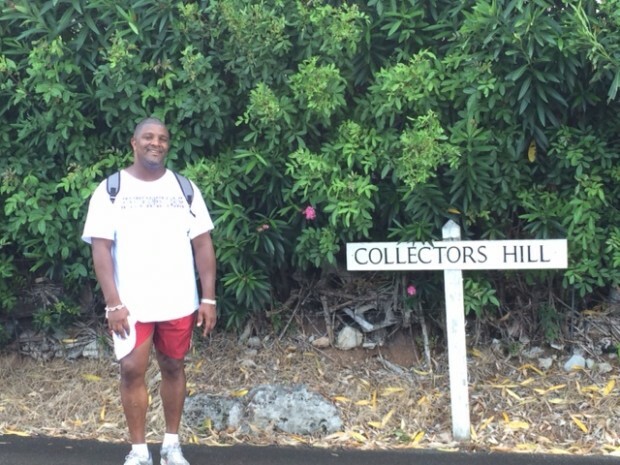 Mr. Anderson completed a similar walk in September 2014 in a bid to raise funds for the Centre For Abuse, starting from Dockyard and walking the length of the island. His upcoming walk, set to begin tomorrow [Apr 8] at 5.00am, will see him walk a similar route, starting from Dockyard, heading down Middle Road to the Paget stop lights, along South Shore Road, over Collectors Hill to Middle Road, down Flatts Hill on to North Shore Road through to St. George’s, and past the RAA Club to finish at Fort St. Catherine. Mr. Anderson said, “Hopefully we can raise $60,000 for any additional cost that may arise at any time. It’s a very stressful time for my goddaughter, who is suffering from Leiomyosarcoma, a cancer of the smooth muscle and connective tissue, diagnosed in September of 2011. “She is married to Nakia Smith, and has two small sons, Nakai and Kenori. Kamala is a wonderful, upstanding, fabulous woman in our community and I’m sure it’s been a very stressful time for her, her prescriptions are very expensive. “The reason why I’m walking through each of the parishes is because I’m sure Kamala has touched and will continue to touch peoples lives. I want everyone concerned to see me walking through their parish. “This is a community effort. We have to start loving, respecting, supporting and praying for our neighbor and one another unconditionally, how the old Bermuda use to be, which was not that long ago. I remember that time, I would love to see that back like yesterday. People interested in supporting Mr Anderson’s quest to support Mrs. Smith can make donations to Bank of Butterfield account number 20 006 060 650 994 200. Well done and best of luck Mark. Your a shinning example of strength in all areas. Mark Thank you for all that you do and for the love you have shown to so many, if we could have more like you even just in the smallest number’s, Bermuda would be a better place because of the kindness and love shown by you dedication and love for so many. May God continue to bless you and strengthen you in all that you do, and to bring awareness of so many plights of others to another level, we love and appreciate you and you know that goes without saying it, but want to share it publicly as we are proud to call you friend. if you’re gonna put your efforts towards the “cause” do your homework and head in the right direction…power to you Mark. Such a worthy cause ! I’ll be supporting ! !